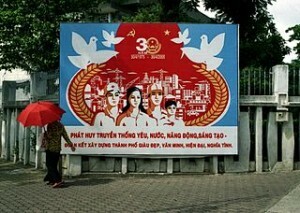 Vietnam is a communist country that can be said open mind. Openness that makes Vietnamese boomed in recent years. Vietnam’s economic progress can be seen from the growth of big cities such as Hanoi and Ho Chi Minh City. Unlike the neighboring country which adopts the same way, Laos and Cambodia, Vietnam’s economic growth is very real. Tall buildings, airport facilities, as well as highly organized tourism infrastructure indicates the country is experiencing rapid growth. History is a very meaningful thing for any country. Vietnam is a country with a very interesting history, as the area became the seizure of various strengths in the dynasty era. In modern times the great power like Japan and France tried to control the country on the shores of the South China Sea. very important for tourists to know the outline of the history of the country to be visited. One of great that we do not know the history of Vietnam because there are a variety of attractions that are very interesting historical relics. Loss when a busy visit and take pictures without understanding the background of why a place or thing that is important for the country visited. Vietnam’s history can be told from the dynasty era. In this era, Vietnam was ruled China. Under the Tran Dynasty, Vietnam managed to knock out three attacks from the Mongols. At that time Buddhism spread rapidly. In the 15th century, Vietnam experienced the heyday under Le Dynasty. Between the 11th to 18th centuries, Vietnam managed to expand the territory to south and under Emperor Le Thanh Tong managed to master the Khmer Empire and the Kingdom of Champa. Le imperial dynasty was overthrown by the Chinese-supported Mac. However, the power of the Mac dynasty split into two, namely Trinh in the north and Nguyen in south. A century later the country split eliminated by Tay Son brothers who created a new dynasty. However, the dynasty did not last long since ousted by the rest of the group led by Nguyen Anh Nguyen with France. Nguyen Anh Nguyen Dynasty that ruled creates as Gia Long. Vietnam’s independence did not last long because it was toppled by the French, assisted by a Catholic militia. Finally this country became part of French Indochina under the rule. In the French colonial period, there was a significant development as in the case of Western education and the growth of the Roman Catholic religion. French government center in Vietnam centered in Cochinchina, the southern third of Vietnam, around what is now Saigon or Ho Chi Minh City. French control of Vietnam until World War II. In the war in the Pacific, Japan controlled Indochina in 1941. In this group of nationalist and communist Viet Minh under the leadership of Ho Chi Minh City Vietnam fought freed from the influence of French and Japanese occupation. By utilizing the defeat of Japan, in August 1945 the Viet Minh seized Hanoi and declared independence on September 2, 1945. Indochina War between Viet Minh forces and the formation of French troops who took over the Japanese in Vietnam occur until 1954. After the events of the Siege of Dien Bien Phu, the truce between the two sides ended in the Geneva Conference in 1954. As agreed in the Geneva agreement, formed French Indochina was dissolved. They agreed to provide 300 days of time for people to move. While the ruling communists in the north, nearly 1 million people who mostly catholic moved south controlled by French supporters. Finally formed the Democratic Republic of Vietnam under the leadership of Ho Chi Minh in the north and the State of Vietnam under Emperor Bao Dai’s Lead in the south.In 1955, Prime Minister of Vietnam, Ngo Dinh Diem a coup by Bao Dai referendum has been set. Ngo Dinh Diem declared the new President of Vietnam. Communist Vietcong began a guerrilla army to bring down the government of Ngo Dinh Diem. Meanwhile, the Diem government was protested with some Buddhist folk demonstrations that ended the violence. Hundreds of Buddhists were killed when government soldiers attacked Xa Loi Pagoda. Finally in 1963, Diem was killed. Emptiness of government used by the military authorities to take over the leadership. However, military officials at each other until a coup in 1965, Nguyen Van Thieu and Nguyen Cao Ky takes over the leadership. Van Thieu finally became sole ruler after his defeat in the elections engineered. The development of increasingly central communism, especially in Asia, the United States made a sultry. After the Gulf of Tonkin incident, they directly intervened by sending ground troops to Vietnam. The number of U.S. troops in Vietnam reached 500 thousand people. However, the Communists succeeded in attacking the main target in South Vietnam through the Tet Offensive in 1968. Jal is making the American people oppose involvement in the Vietnam War. Vietcong received weapons supplies through the Ho Chi Minh trail, through Cambodia and Laos. As well as the greater number of victims of domestic opposition from getting too strong, the United States began to withdraw troops from Vietnam. France Peace Treaty recognized the sovereignty of Vietnam in 1973 as agreed in the Geneva Agreement in 1954. Therefore, the United States was ordered to withdraw all troops before 29 March 1973. Skirmishes still occur until a large attack that experienced the peak in 1975, when the Vietcong had occupied Saigon. In 1976, North and South Vietnam became a part of the Socialist Republic of Vietnam. Collectivisation of Communism that implement the system causing economic problems. Millions of people leaving Vietnam by boat to be human. In 1978, Vietnamese troops entered Cambodia and succeeded in overthrowing the Khmer Rouge regime during this troubling frontier and killed many Vietnamese people living in the border. During almost a decade of economic growth in Vietnam is very slow. In 1986 launched a series of free-market reforms known as Doi Moi. Although the authority of the government is still very large, in this system they are promoting privatization, deregulation of the economy, as well as foreign investment. Since then, until now, Vietnam’s economic growth becomes very rapid, although there is still the economic gap between classes and regions. When visiting Vietnam, you will be able to witness the success of the Doi Moi under the leadership of Nguyen Van Linh.